Your local government, in partnership with EnergySage, has developed a Solar Marketplace that makes it easy to go solar! 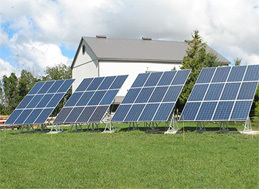 The partnership encourages the use of solar panels in the National Capital Region to promote energy security and improve environmental quality. The Marketplace gets you quotes online from multiple, pre-screened solar providers so you can compare and get the best deal! Solar prices have fallen considerably in recent years and you can save a lot by going solar. 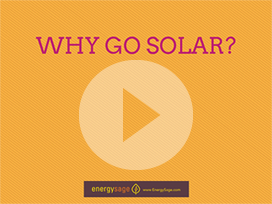 EnergySage is your objective partner in navigating the solar shopping process. We bring a network of high-quality installers, who compete for your business and we provide tools and resources to help you along the way. Cash Purchase, Solar Loans, Leases – learn your solar financing options. 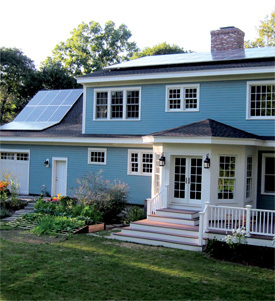 The Blackwells installed solar panels on their house in Bowie, MD in November 2010. Share EnergySage with your friends & family. It's never been easier to shop for solar systems with confidence. Get multiple quotes from qualified installers. Homeowners can buy or lease with no-money-down. The EnergySage Marketplace makes comparison shopping for solar simple and transparent, so you can understand the true costs and benefits of each quote across all of your financing options. Don’t shop without it. See how your local community is working hard to make solar more accessible for you! The Solar Roadmap is a platform for local governments and electric utilities to implement global best practices to reduce soft costs for solar energy. The Solar Roadmap works in close coordination with the local jurisdictions to develop a customized, interactive solar roadmap containing guidance on how to transform the local solar market. If your community does not yet have a roadmap, please contact us. See incentives and policies that support renewables and energy efficiency in your region. Want to get more involved in solar issues in your community? Join your state solar network! 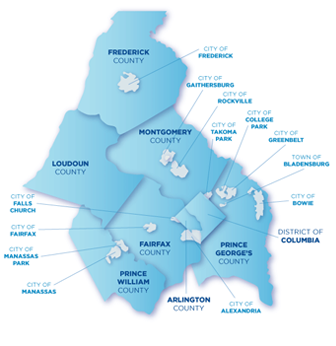 Nonprofit Community Power Network is working with solar supporters, activists, and installers in Maryland, Virginia, and West Virginia to create statewide listserves of solar supporters. These groups are citizens networks are open to any individual or business interested in supporting solar in the state. The listserves are a place for practical advice on how to go solar, keep track of local developments around solar, and advocate for better solar policies.